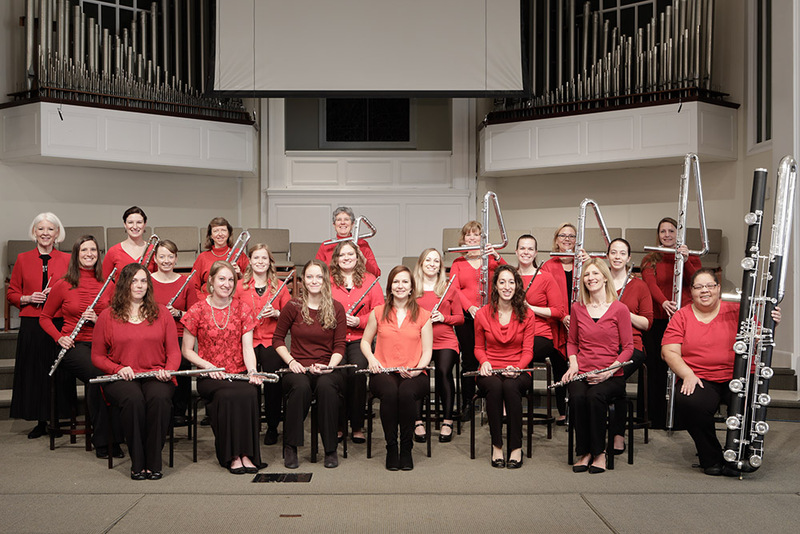 Columbia Flute Choir, under the direction of Sharyn Byer, has been delighting Washington audiences since 1994, performing throughout the Washington, DC metropolitan area. The ensemble features all members of the flute family including piccolo, C flute, alto flute, bass flute, contr'alto flute, contrabass flute, subcontr'alto flute, and double contrabass flute. Columbia Flute Choir presents a variety of classical music as well as original works for flute choir and hosts an annual Flute Choir Festival in the Fall. Highlights of previous seasons include Columbia Flute Choir performances on the Kennedy Center's Millennium Stage, in the Concert Hall with Sir James and Lady Jeanne Galway, and in the Terrace Theater. Columbia Flute Choir has also performed at The White House, in the Helen Hayes Gallery at The National Theatre, on Columbia Institute of Fine Arts' "Distinguished Artist Series", during Fairfax City's "Spotlight on the Arts", on the "Old Town Hall Performance Series" in Fairfax, and the "Muldoon Concert Series" in Annandale. Columbia Flute Choir has presented world premieres at the Washington Flute Society's Mid-Atlantic Flute Convention and the National Flute Association's Annual Convention.